AN ANTHOLOGY FROM THE LGBTQAI COMICS CREATORS OF PRISM COMICS! ALPHABET IS NOW AVAILABLE TO ORDER!! GET YOUR COPY BELOW! 370 pages, full color, hardback. The anthology book featuring nearly 50 LGBTQAIU creators from Prism Comics! 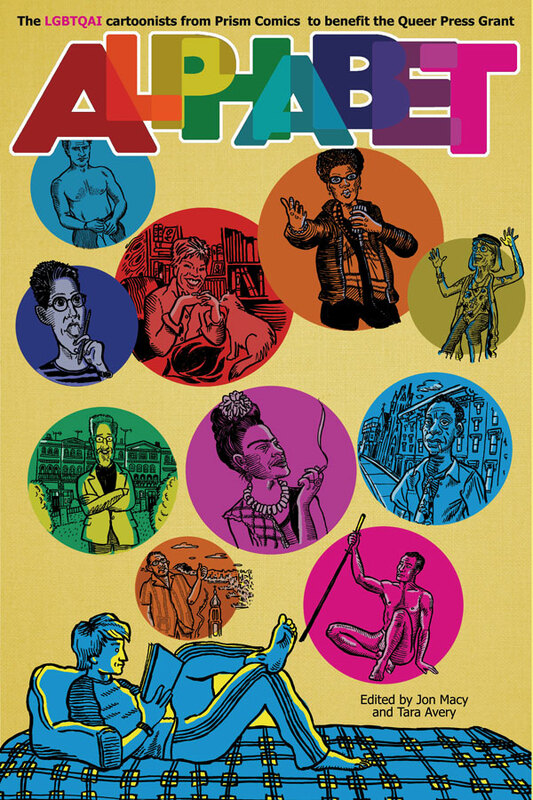 THE MOST DIVERSE GROUP OF QUEER CARTOONISTS SHOW THEIR STUFF IN ONE GIANT HARDBACK ANTHOLOGY! 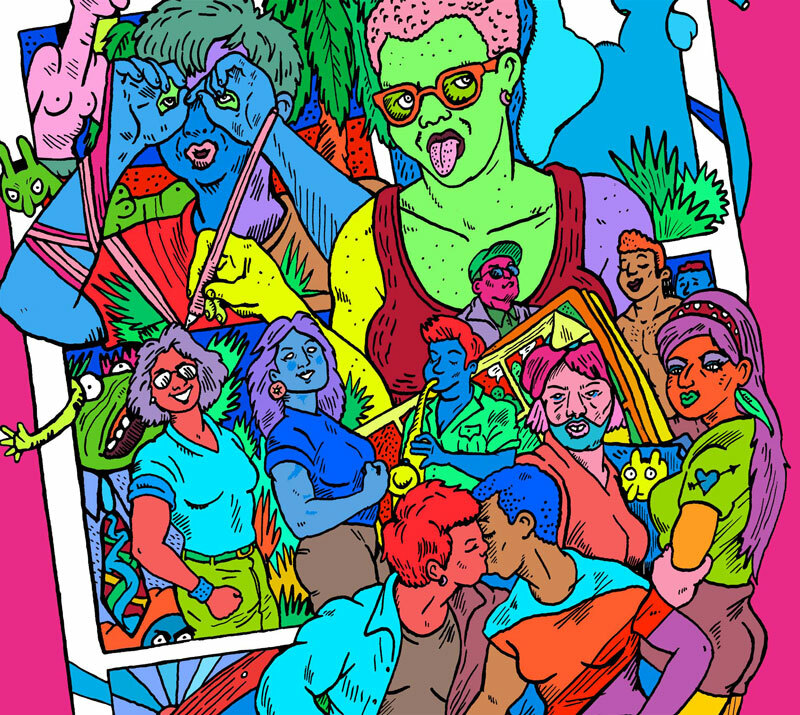 You can help promote queer comics by supporting the Kickstarter starting November 24th. A Ajuan Mance, Ahri Almeida, Ashley R Guillory, B Bex, C Carlo Quispe, Christianne Benedict, D Dave Davenport, David Quantic, Dax Tran-Caffee, Diego Gomez, Dorian Katz, Dylan Edwards, Dylan Good, E Ed Luce, Elizabeth Beier, Emeric Kennard, Eric Orner, F G GZ Biazus, H Hanna Oliver, Hanna-Pirita Lekonnen, Hazel Newlevant, Howard Cruse, I Ingrid Mouth, J Jeff Krell, Jennifer Camper, Jon Macy, Josh Trujillo, Justin Hall, K Kelsey Wroten, Knave Murdock, L M Maia Kobabe, Melanie Gillman, Mike Sullivan, N Nero O’Reilly, O P Paige Braddock, Pam Harrison, Q R Robert Kirby, Robert Triptow, Roberta Gregory, Rupert Kinnard, S Scott Adams, Soizick Jaffre, Sonya Saturday, Steve MacIsaac, T Tana Ford, Tara Avery, Ted Closson, Tod Brower, Tyler Cohen, U V Vi Cao, Victor Hodge, W X Y Z Zak Plum… and more!